Beach, restaurants, stores and a train station just steps from your door. Gorgeous townhome in the heart of the village. Beautiful hardwood flooring on lower level. Gourmet kitchen features granite counters, stainless steel appliances & a big island work area. Space saving built-in computer or work station & laundry area near kitchen. Bright & sunny bedrooms with plantation shutters. Nicely appointed master bathroom with travertine. Big 2 car garage with tons of storage for boards, bikes & beach chairs! 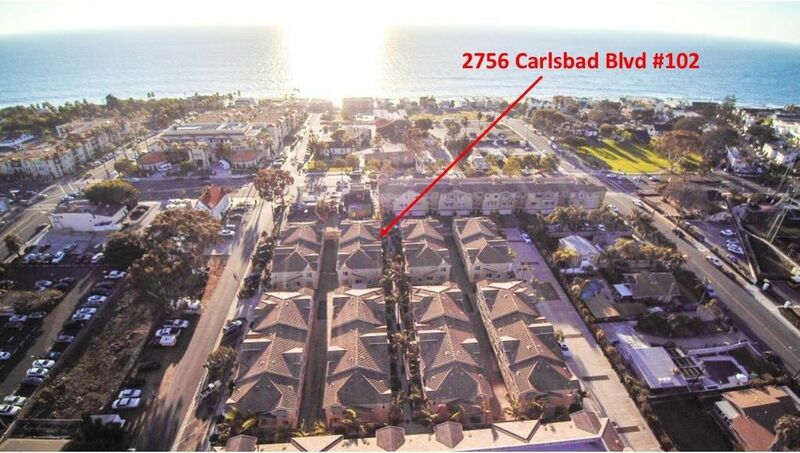 Directions To Property: Carlsbad Blvd and Christiansen. Parking generally available on Christiansen Way.